Editor’s note: There’s recently been some more sleuthing and it was pointed out that the copyright on the Windseeker Centaur is 1995, which explains why it’s not actually legal in 93/94, despite the book being available in 1994. According to a post to an mtg usenet group in January 1995, people had not received the cards yet as they were still with Carta Mundi. So I guess that makes it pretty officially not-93/94 playable. 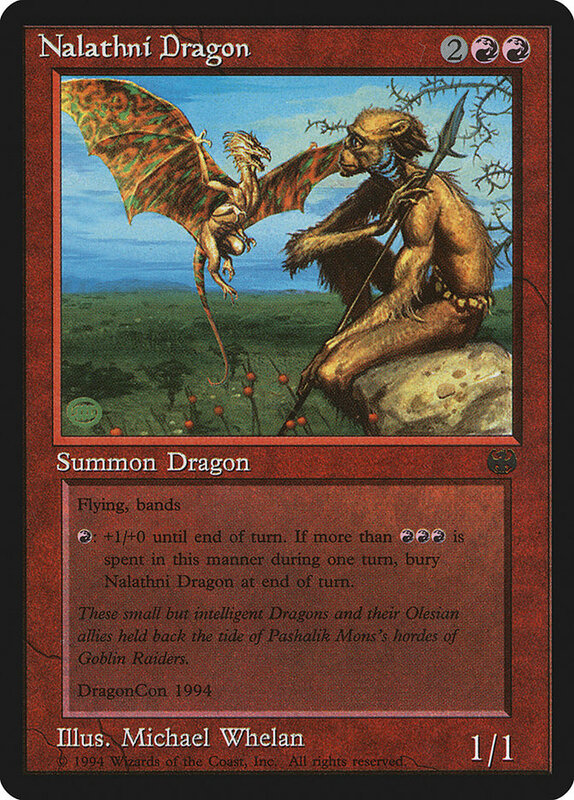 Over in the Old School Discord, one of the players posted a Dragon themed deck that includes Nalathni Dragon and we started discussing the various media promos of the era. 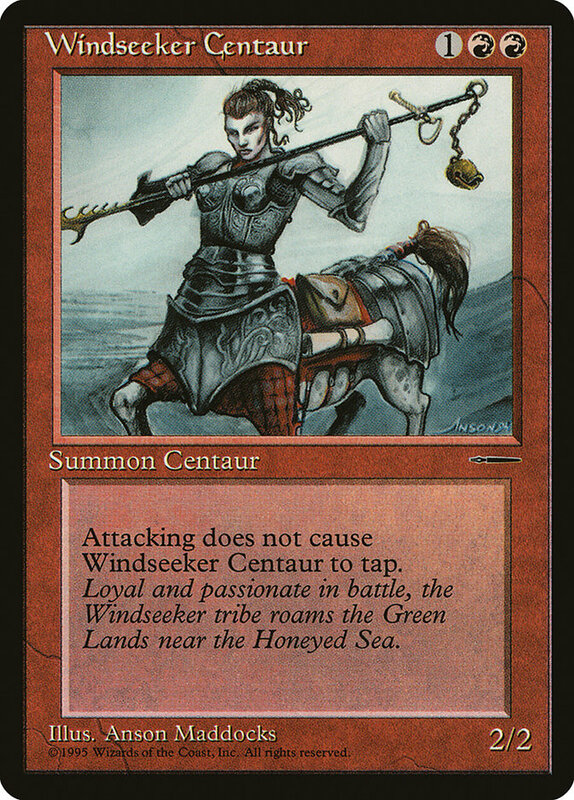 I mentioned Windseeker Centaur, a card they’d not heard of, leading me to dig into it a bit more. I thought it was printed in 1996, so certainly not Old School Legal, but lo-and-behold it was actually printed in November 1994! Reading the rules as published by Eternal Central, they clearly omit this sweet red, vigilant, Centaur, while the Swedes full on explicitly state that it’s not allowed. 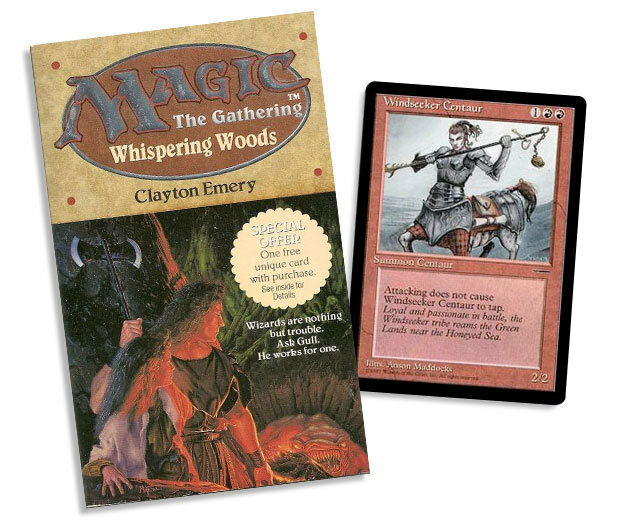 According to MTG Gamepedia, Windseeker Centaur was the first Centaur, and was included as an insert in the novel Whispering Woods, which has a publication date of 1994 November, leading me to believe that this card should be legal, alongside Arena, Nalathni Dragon, and Sewers of Estwark. I have no idea why it’s omitted and not allowed in the two most popular rulesets, but it seems odd to me. Personally, I could see the Centaur doing pretty well in a Big Red or Zoo deck. A 2/2 Vigilant for 1RR isn’t terrible for the format, and given the general power level of most creatures in old school, it seems fairly on curve. The double red is a bit rough, not not terrible to build around. 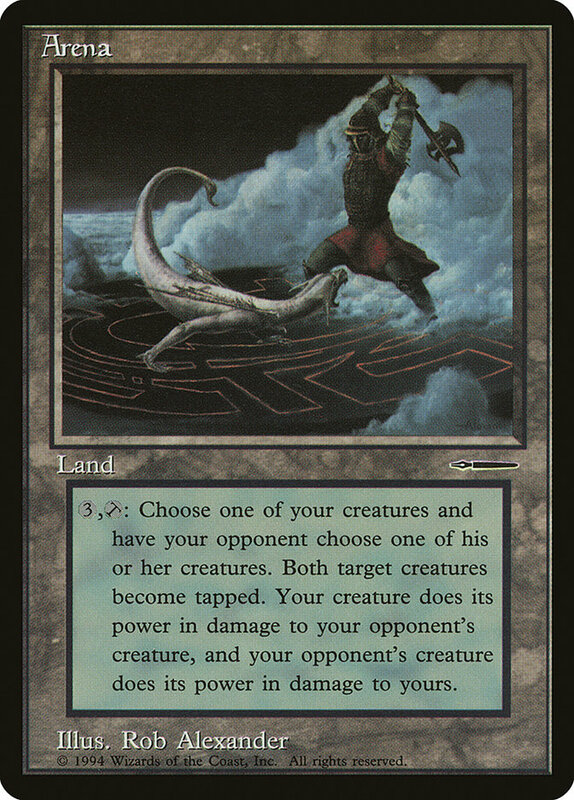 The art on this card is pretty great, as is to be expected of Anson Maddocks. I particularly appreciate that it’s a female warrior wearing not overly sexualized armor that looks mostly practical. I mean, the obvious breast cups are still strange, but are a very common trope in fantasy art (how else would we know this warrior is a female? :eyeroll:), and are still better than chain mail bikinis and exposed skin that is rife in the fantasy art world. Unrelated to Magic, but I recently read this fantastic post about how revolutionary Warhammer was in it’s early years when compared to the rest of its scifi/fantasy contemporaries, so this sort of art observation has been on my mind. I know that the original designers of Magic worked hard to desexualize women and to be inclusive of persons of color (although I can no longer find the specific article about this era), which I greatly appreciate, and feel like it deserves more attention than it usually gets, but that’s outside of the depth of this post. Back to the look of the card, these media promos were printed with similar tones and saturation as 4th edition, but in black border, so they look great, even if they do have a date line on them. To conclude this ramble, I’m not sure why the lowly red centaur isn’t included in the major rulesets for the format, because from my limited research of release dates, it certainly seems like it should be. I’d allow it at our events anyway. As always, if any of you mtg historians are reading this, I’d love more details on this decision. We definitely got more information about this, and got to the bottom of it’s legality in the format. Sadly, but not surprisingly, I was wrong. Did you ever read any of those books? They weren’t the worst books. 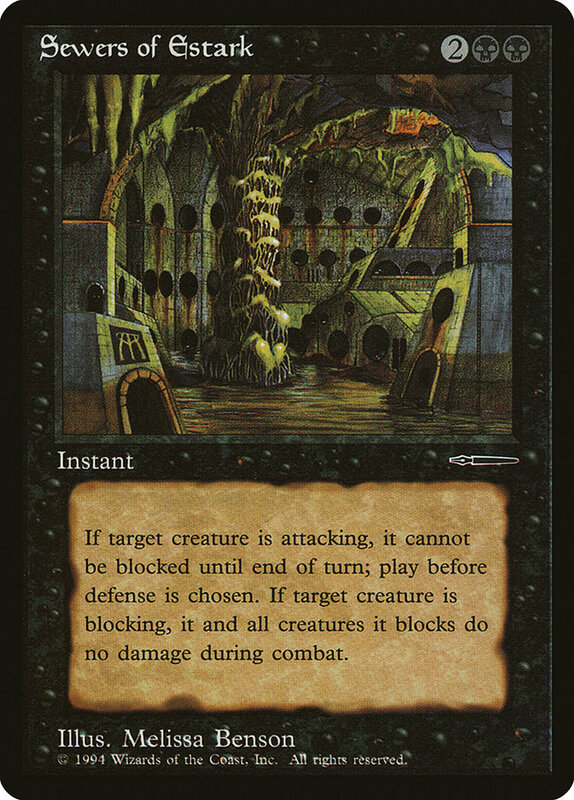 I didn’t realize Magic was specifically trying to be inclusive back then. I thought that was a more recent push, but that’s cool. I will look in my basement and see if I still have “Arena”. If I do, I’ll pass it around, it’s very old school.